Double chair bench with table that I built mainly from pallet wood. 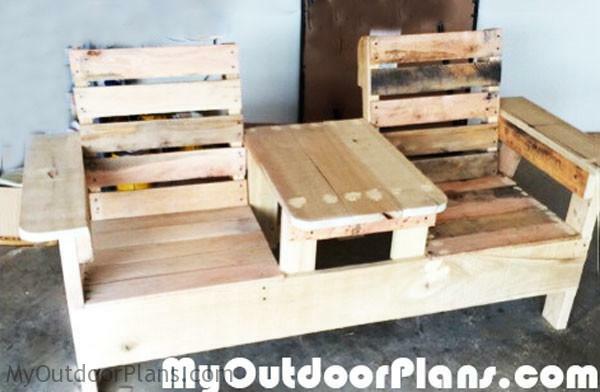 I am a pallet furniture fanatic so when I saw your plans I had to build the bench. I am looking forward to seeing more pallet wood projects in your blog.